Wow! 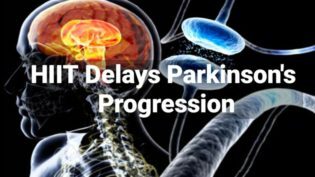 Recently I saw this study showing High-intensity exercise may slow the progression of Parkinson’s disease without medication. More and more studies are surfacing further substantiating the positive effects of properly prescribed high intensity interval training. At the bottom is a link to an article in Science Daily that explains a study conducted by Northwestern University. Feel feel free to read the article for yourself. The study as was a randomized controlled clinical trial that consisted of patients with Parkinson’s disease not taking any medication during the trial. The patients were randomized into three groups and exercised accordingly. The more intense the exercise the better the results. Patients that exercised at 85% maximum heart rate (MHR) did not experience further progression of disease symptoms. Those that exercised at 65% maximum heart rate experienced a 7.5% worsening of symptoms. Those in the no-exercise group experienced a 15% worsening of symptoms.